Your wedding rings shouldn't be a rushed decision. Sit down and take your time as you carefully consider all the options along with your own sense of individual style, after all - it's the sole item that you'll be wearing once the day of I Dos is over and the dress and suit have been safely stowed away. Jewellery maker-designer extraordinaire, Erin Cox presents her brand new Molten Wedding Ring catalogue, presenting the perfect excuse for couples to deliberate their decision as they pour over inspirational pages of to-die-for rings, which are available in a beautifully wide range of metals, finishes, designs and prices to ensure you find something stand-out to suit. 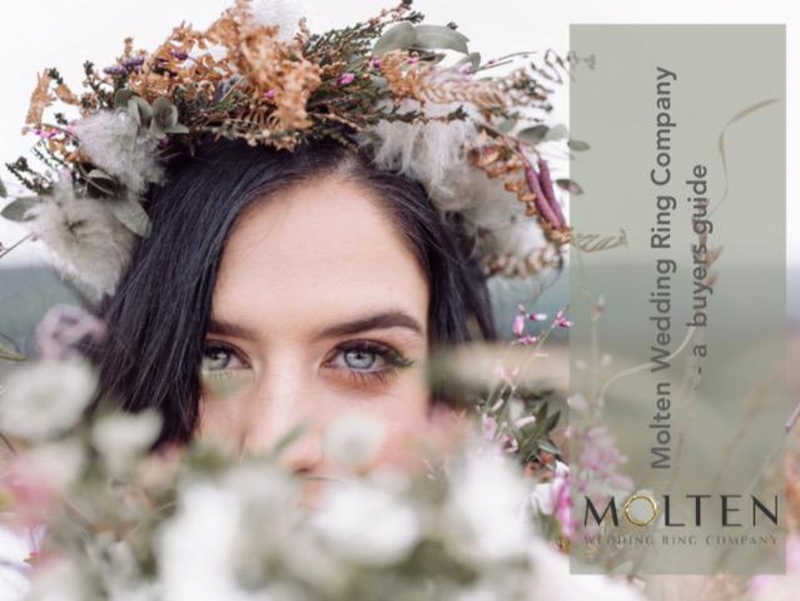 Renowned for her signature textural rings that are replete with the feel-me factor, you can opt for high shine or matt, or to have diamonds (in a variety of colours) set into the band, or even personalised inscriptions added to ensure beautifully bespoke results. Hard copies are available to couples free of charge, who can get in touch via the website (where you can also peruse the catalogue online), email or by calling 01363 660836 to request one.